Lovley Pat. Super image and fab papers. Lovely bright sunny colours Pat. Apols for he lack of visits lately, hopefully getting back into things again now the worry is over. 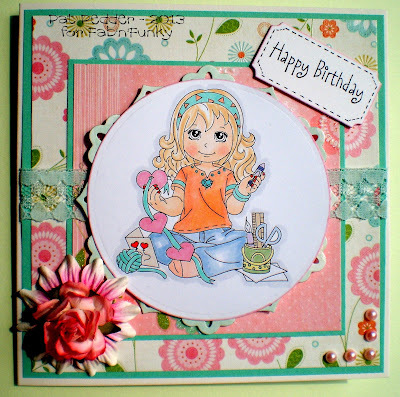 Gorgeous card Pat, love the colours and sweet image. this is so adorable and cute! Gorgeous card Pat. I love the sweet image and pretty colours. This is so sweet and beautiful. I want you to know how much I appreciate your stopping by and kind comments. Just not getting around as much to visit as I would like but it's followers like you that keep me inspired and that I appreciate so much. Have a wonderful weekend! "Hugs"
Gorgeous card. Love the papers and image, Beautifull colouring. Hi Pat - this is a lovely card. Great image and really pretty DPs. Thanks for sharing your card at Lexi's Creations this time. Isn't she cute - how in the world do you come up with the best papers for such sweet images. You know I love your design work!! She is so cute Pat - your papers are perfect, but they always are. The flower is wonderul!! Beautiful card. Love the image and the design! 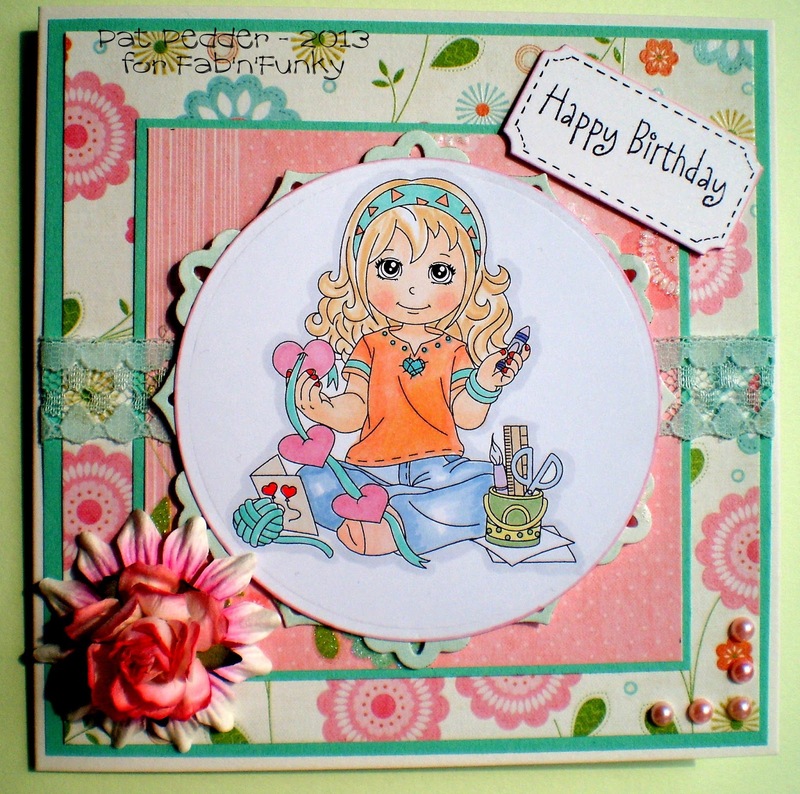 Hi Pat this is gorgeous I adore that pretty image also those lush papers and embellishments a superbly designed card. What a fabby do card Pat !! Love the sweet image and the colours are so pretty !! Thanks so much for playing at Crafty Sentiments Designs this week !! Super cute card! I love how that other challenge worked so well with ours at ABC Challenges this week. What fun and what a terrific job you did. Love that sweet image. Thanks for joining us this week at ABC Challenges.